A new report published by the National Academies of Sciences, Engineering, and Medicine concludes that half-facepiece reusable elastomeric respirators are an effective, viable option for protecting healthcare workers during both routine work and in public health emergencies. According to the report, reusable respirators are the standard respiratory protection devices used in many industries, but they are not used widely in healthcare. Researchers identified only two health institutions in the U.S. that use reusable elastomeric respirators either exclusively or primarily. The study, which was requested by the NIOSH National Personal Protective Technology Laboratory and CDC’s National Center for Immunization and Respiratory Diseases, describes the advantages of using elastomeric respirators in healthcare. 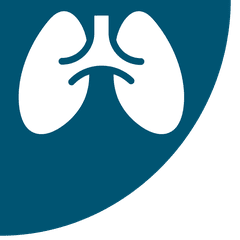 “Reusable respirators (specifically, reusable half-facepiece elastomeric respirators) … provide an option for use in healthcare that has to date not been fully explored,” the report reads. “The durability and reusability of elastomeric respirators make them desirable for stockpiling for emergencies, where the need for large volumes of respirators can be anticipated.” Researchers identified some implementation challenges related to the use of reusable respirators in healthcare, including storage, disinfection, and maintenance; training and education; user comfort and tolerability; and supply logistics and emergency stockpiling. The report acknowledges the need for standardized processes for the cleaning and disinfection of reusable respirators; consistent guidance and standards by regulatory and policymaking authorities; and accountability policies for each facility’s respiratory protection program. Once these challenges are addressed, researchers suggest that integrating reusable elastomeric respirators into day-to-day practice in healthcare would help workers become familiar with these devices; improve policies and practices for cleaning, disinfection, and maintenance; and lead to better preparedness for emergencies. For example, during a “surge situation” such as an influenza pandemic or airborne transmissible disease outbreak, workers would be able to transition more smoothly to using reusable respirators if they were already a part of facilities’ day-to-day respiratory protection programs. The report is available for download from the National Academies Press website.